My dear parents left in the wee small hours of the morning and I miss them already. I decided to take the day off and I made preparations for it. My sister and I loved the movie SHAG when we were in high school. Netflix just so happened to deliver it in time for my special day off. It always makes me excited for summertime in the South. The UPS man delivered my summertime reads today too. I have big plans to sit by the pool a few mornings a week and read. I need to take advantage of that silly pool before we move. Here's to taking a day off and re-grouping. p.s. My only "official" task for today: to find a new swimsuit. 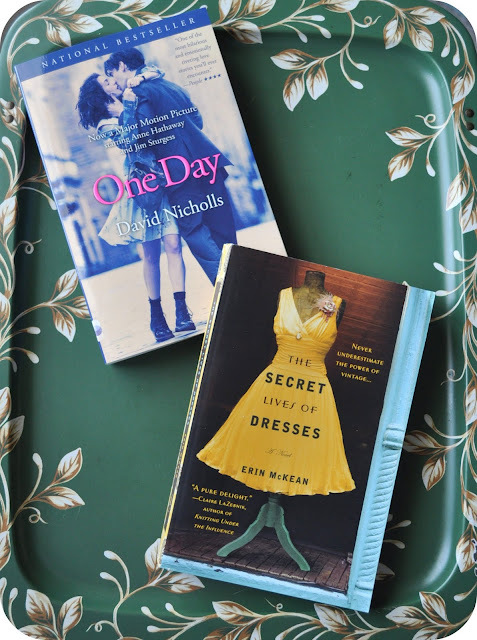 Oh my goodness, I just bought The Secret Lives of Dresses today!! Small world! Have you read A Vintage Affair? I really loved it! The Secret Lives of Dresses is SO good! You will LOVE it!!!! YOU told me to read it and I have been on pins and needles since. I have not read A Vintage Affair yet. It will be next on my list. I trust your taste. Tell me what you think of "one day"-- i'd love to discuss it with you! i can't wait to see the film version of it. and your swimsuit style sounds roar!!! ;) kisses!